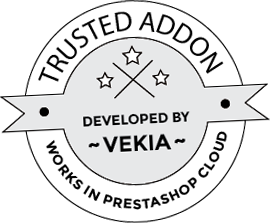 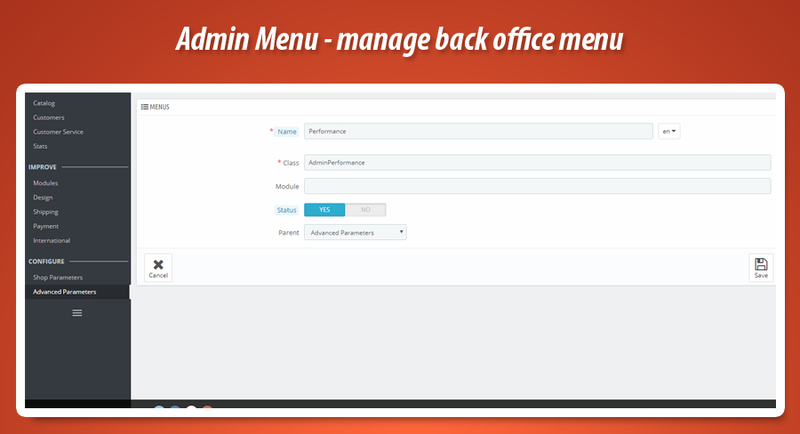 This is absolutely free module without any kind of hidden fees. 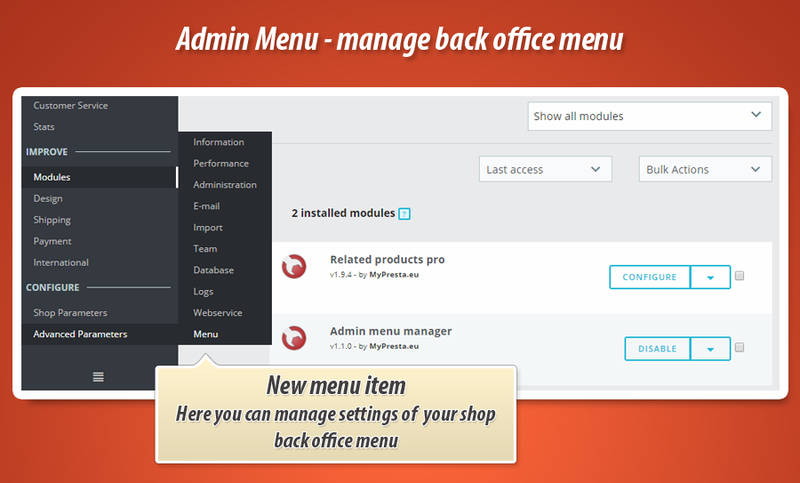 With this PrestaShop addon you can put back menu management section in all PrestaShop 1.7.x releases. 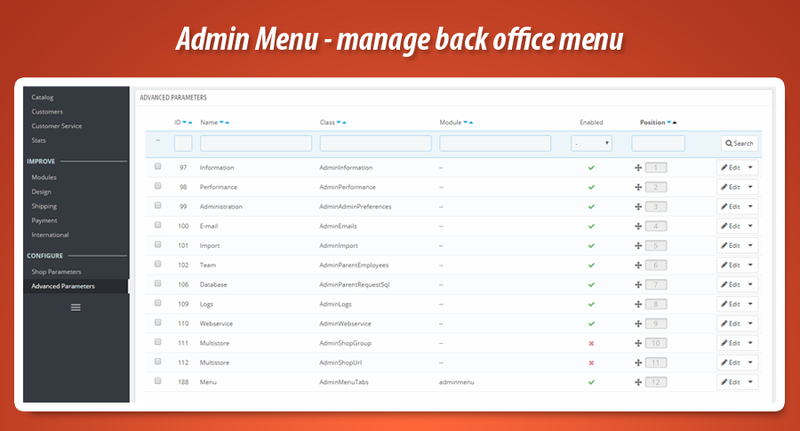 Module created new menu item under "advanced parameters" where you can manage settings of your back office menu.